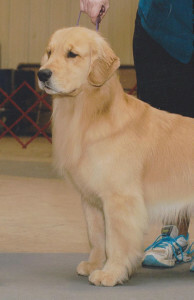 Clooney is from a litter with Detour and Terra. 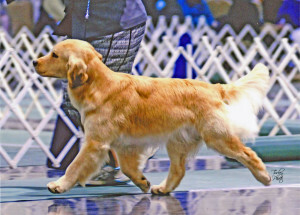 We had planned on keeping a puppy girl from the litter(Clooney’s sister, Fancy) but as Clooney grew, we just knew he was going to have to stay, too!! He had the cutest little face and the most charming little personality. Clooney, sister Fancy are New Year’s babies. 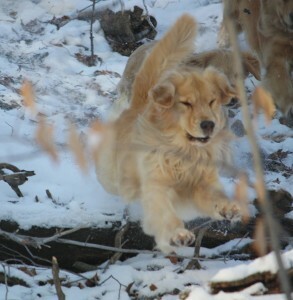 They were born 1/1/2012. 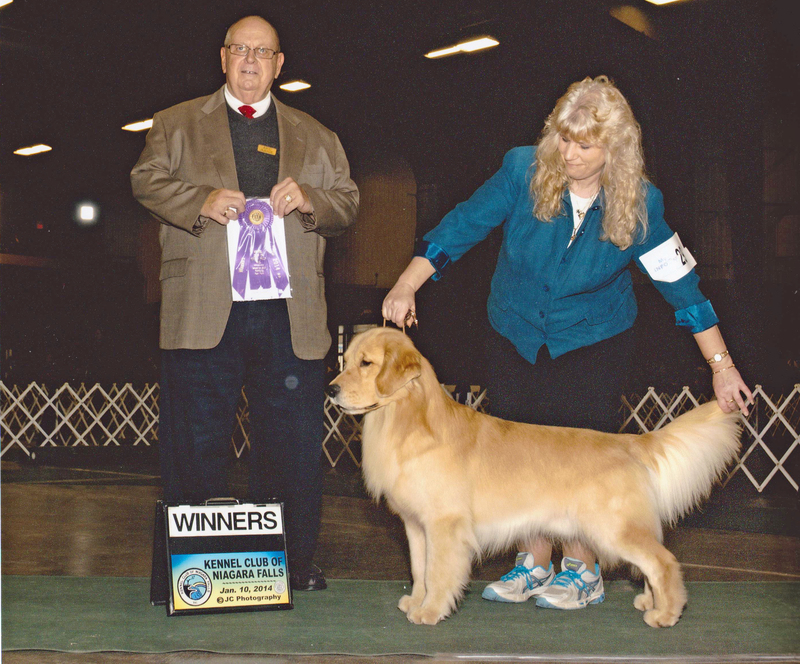 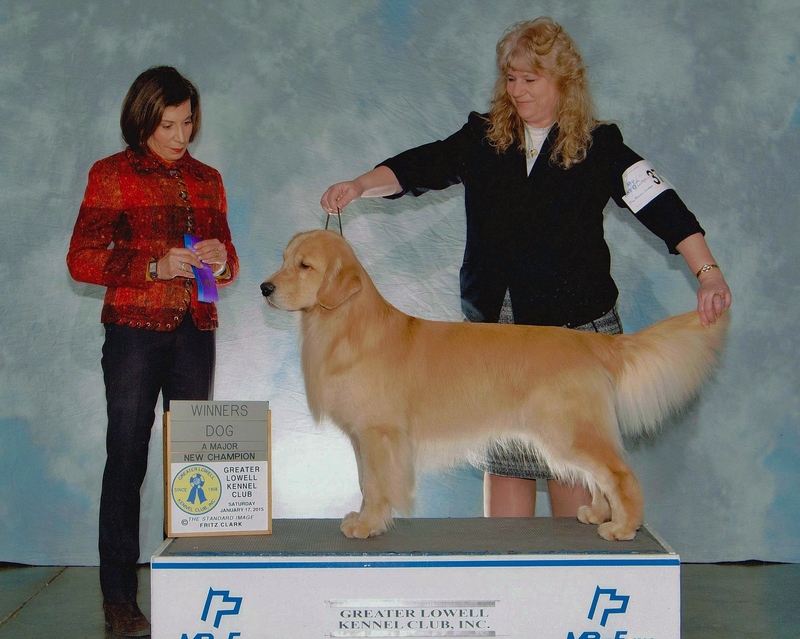 Clooney finished his AKC championship in January of 2015. 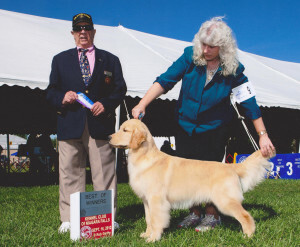 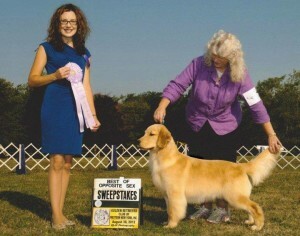 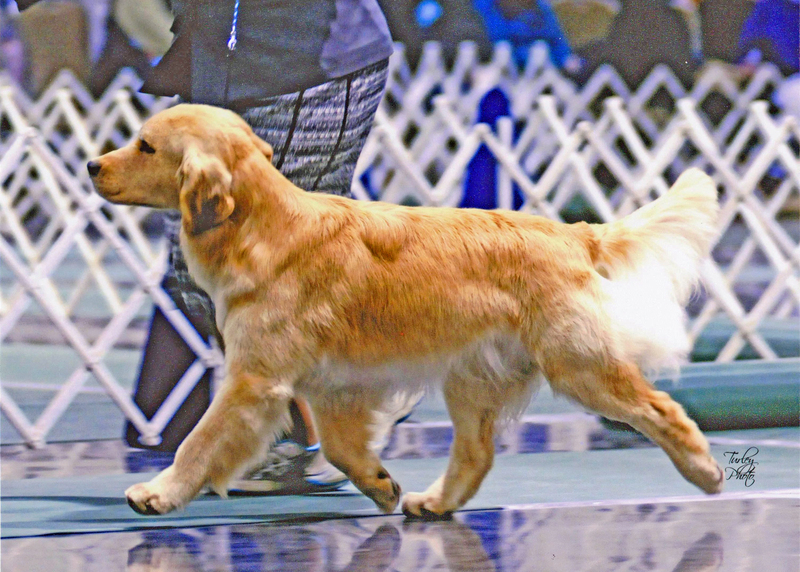 At his first show, he was awarded Best Opposite in Sweepstakes at the Golden Retriever Club Of New York’s Specialty. He very quickly picked up a few reserve winner’s dog awards and then he was awarded his first points from the 6-9 months puppy class. 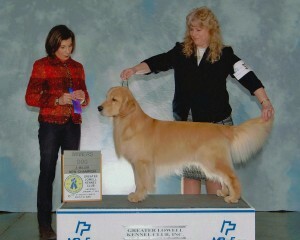 He took some time off to grow up and mature and accumulated 11 points and both majors from the Bred-By exhibitor class. 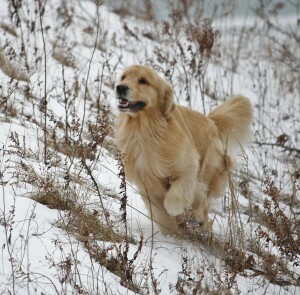 To say we are thrilled with how he has been doing would be an understatement! 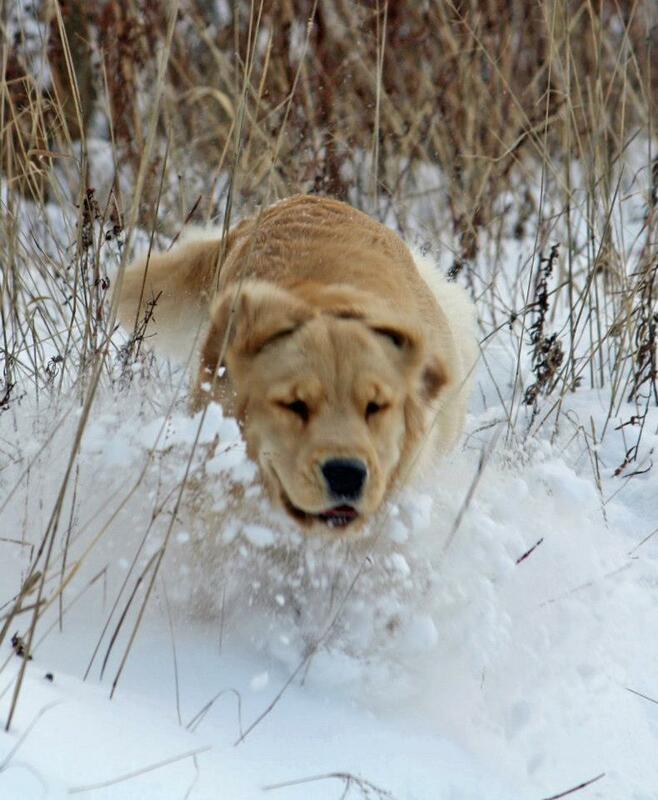 Clooney has a very silly personality and life is a big game to him. 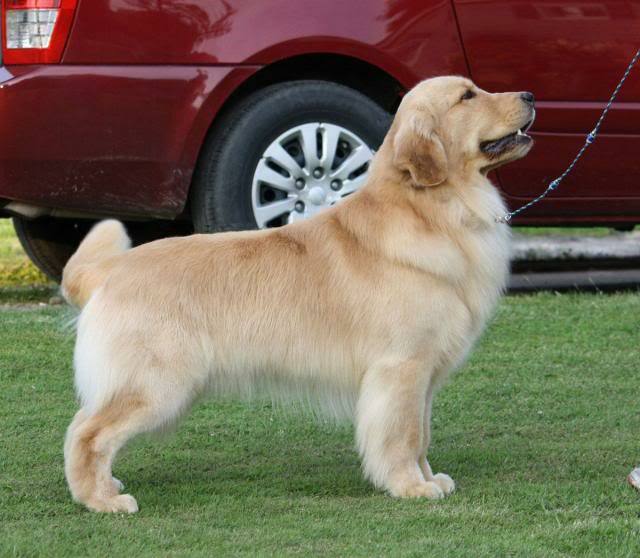 He loves to run and play with all the dogs but of course, there is a special bond between him and his sister, Fancy. 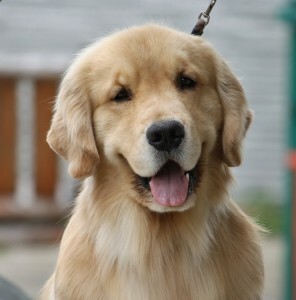 Clooney has a lovely face with beautiful pigment, full dentition and a broad muzzle and top skull. 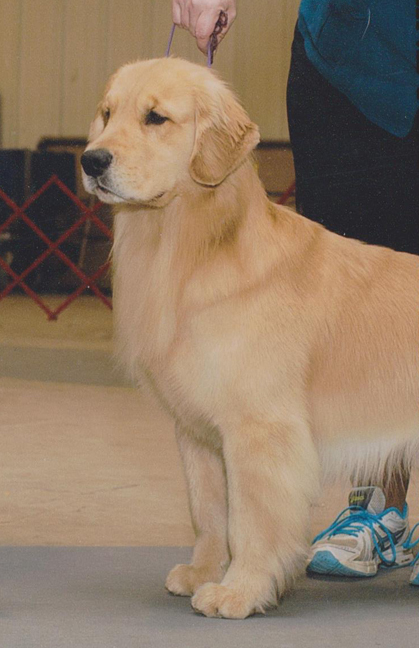 He is a very athletic dog and has quite a bit of substance. He also has a beautiful topline and short back. 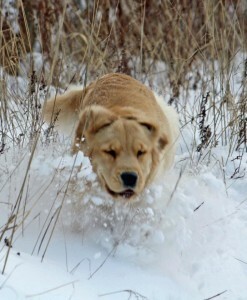 He moves very freely and his movement is effortless. 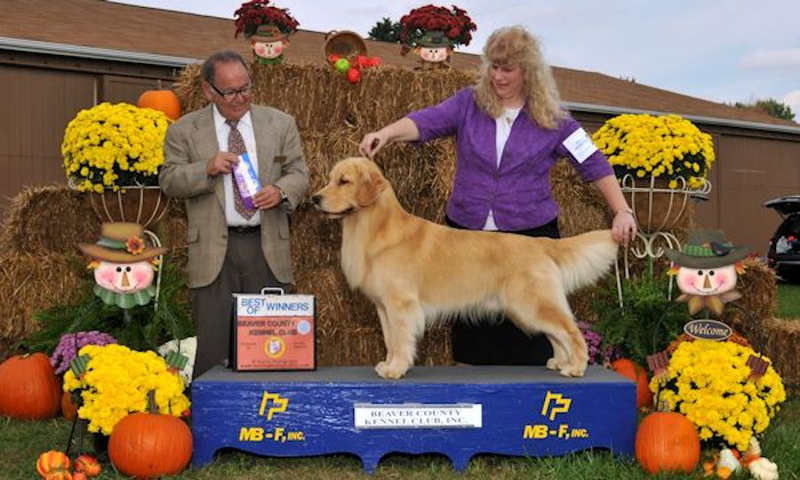 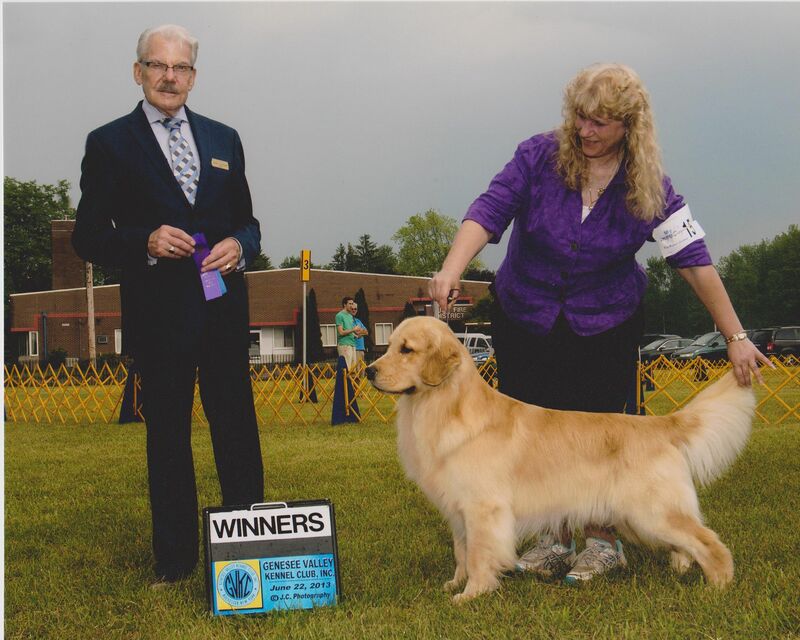 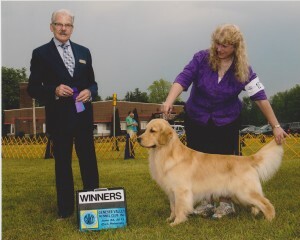 Clooney recently was awarded an Owner Handler Group 1 at the Erie Kennel Club show. 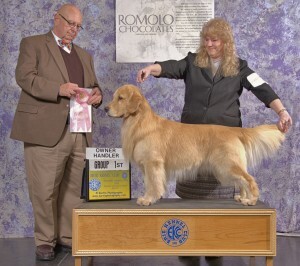 We are very excited about this young boy and look forward to what the future holds! !